Get cash for your car in Missouri today! Sell your vehicle today and get immediate payment when we pick up your car. We purchase cars in every city in Missouri, sell your car in Missouri now. Easy – Only takes 3 easy steps to get cash for cars in Missouri. Price – Due to our extensive network of buyers/auctions throughout the United States, National Cash 4 Cars is able to offer you the highest price for your car in Missouri. Free Pick-up – Our drivers are able to come to all cities in Missouri to pick up your vehicle, and give you your money on the spot. Convenient – We serve every single city and market in Missouri. Cash for Cars in Missouri today! Courteous – National Cash 4 Cars works with its customers in Missouri to ensure the smoothest selling experience, and strongly values the lifetime partnership with our Missouri customers. Stress Free – National Cash 4 Cars buys any make or model, running or not. We buy used vehicles in all types of conditions. Get top dollar in Missouri today! Expertise – Over 50 years of automotive experience, we are standing by to purchase your car in Missouri today! Cash for cars Missouri companies are willing to buy a vehicle no matter what condition it is in. However, this does not mean that one will necessarily get a very good price for the vehicle being sold. 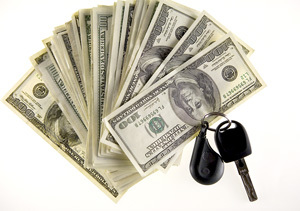 How much money one will make from a cash for cars sale depends on many factors. Cash for cars companies will ask one to disclose the year, make and model of vehicle for sale, along with information such as vehicle mileage, condition of the body and interior of the vehicle and the condition of the transmission and engine. Naturally, a vehicle that is in relatively good condition will sell more than a vehicle that is not in good condition. Contact National Cash 4 Cars now to sell your car located in Missouri. One of the main reasons why most people sell a car to a cash for cars company is that the vehicle in question is no longer in good condition. It is very difficult, if not impossible, to sell a wrecked car, a car that has engine problems and/or a car with very high mileage. By offering the car to a cash for cars company, one will not have to worry about making expensive repairs on the vehicle. On the other hand, there are some repairs that will help to make the vehicle a lot more valuable than it would have been otherwise. Getting the car engine and transmission working is important and can help one to make more money off of the car than would have otherwise been possible. Some simple body work can also increase the car's value exponentially. While these repairs may be a bit costly, they could in some cases be worthwhile to make. As there are a number of cash for cars agencies throughout the state of Missouri, one may want to contact a number of these companies and see which one is willing to make the best price offer. It is not hard to get in touch with a number of cash for cars companies, as most of these companies have a website where one can fill out information regarding the vehicle for sale and send it in. This information is immediately processed by the company and one can expect an answer back the very same day. A person selling a vehicle should tell the company as much about the vehicle as he or she can. Some cash for cars companies allow sellers to send in photos of the vehicle. If the vehicle is clean and fairly good looking, then sending in photos can help one to get a better price quote than he or she would have gotten otherwise. A seller should also be sure to let the company know if the vehicle has valuable amenities and features, i.e. new tires, new upholstery, a CD player, etc. Selling a car to a cash for cars Missouri company is the fastest way to dispose of an unwanted vehicle. However, one should take the time to make sure he or she is getting the most out of the sale. Making some small repairs, getting various price quotes and portraying the vehicle in the best possible light will help one to sell his or her old vehicle at a decent price. National Cash 4 Cars provides the ultimate in sales & service when it comes to buying cars in Missouri.